Giles County, VA- Throughout the month of June there have been ongoing celebrations of the outdoors as we celebrate Great Outdoors Month. Adding to the inventory of public access points to the New River, Giles County will break ground at the newest location on June 28th at 1pm. As part of an Appalachian Regional Commission POWER grant award, in partnership with the Southwest Virginia Cultural Heritage Foundation, Giles will be building or improving access points along the New River. 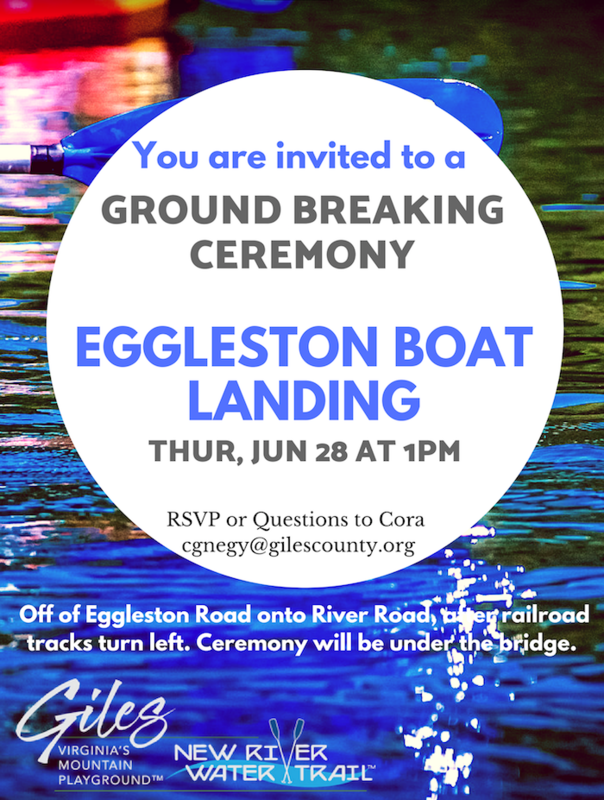 This particular ground breaking will occur at the future home of the Eggleston Boat Landing. Located near the Palisades Restaurant this boat landing will be another asset that allows river goers easy, safe, and convenient access to the New River. The future boat landing will be located by turning from Eggleston Road, onto River Road and after crossing the railroad tracks turn left to go under the bridge. The short ceremony will highlight the cooperative efforts, improvements to tourism assets throughout the region, and New River Water Trail successes. 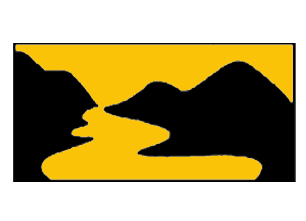 The New River Water Trail is a cooperative effort between Giles County Administration, Giles County Tourism, New River’s Edge, New River Outdoor Company, Tangent Outfitters, local passionate citizens, small business owners, and lodging businesses in the county. The trail itself is already in place- it is the river. The continued access and success of the New River Water Trail™ will help visitors navigate the river and explore the various sections that are ready to be discovered both on and off water! Giles County, Virginia is located in Southwest Virginia approximately 40 minutes south of Roanoke and just west of Blacksburg and Virginia Tech. With easy access to the New River, world class dining and lodging properties, and historical attractions for the entire family, Giles provides adventure in Virginia’s Mountain Playground™. Come find your playground at our Visitors Center located at 203 N Main Street, Pearisburg, VA 24134 or find us online at gilescounty.org or by calling 540-921-2079. For interviews or onsite visits, please contact Cora Gnegy, Tourism Marketing Director. We can arrange and assist with any media needs. For more information about planning your visit to Giles County or about activities and events, please visit www.gilescounty.org or contact us at tourism@gilescounty.org.